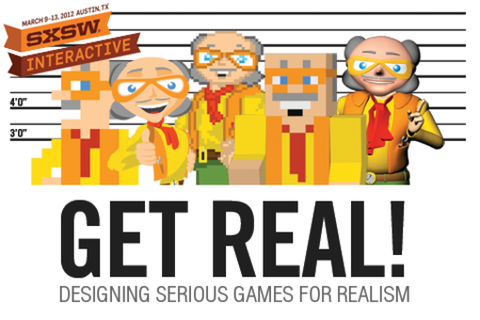 Designing Games for Realism: What’s Real Enough? And with the advent of serious games, designers must now also know how real something must be to change opinions, behaviors, or learning. It turns out that less complicated, cheaper designs can often lead to effective, high-quality gaming experiences. This international, interdisciplinary panel of game designers and researchers will describe how games can vary along dimensions of realism, discuss how to know where and when to invest in different types of realism, and provide real-world design heuristics derived from evidence-based research in simulation design, learning transfer, expertise, cognitive load, schema theory, message design, and media theory. Dr. Amy Adcock is an Associate Professor of Instructional Design & Technology at Old Dominion University in Norfolk, Virginia. Her research interests include development and practical uses of multimedia learning environments, the use of instructional games and simulations for educational purposes, and exploring the links between cognitive psychology (specifically developing expertise) and instructional design. Bob is a designer, lecturer and academic on various topics that are brought together by video games and digital entertainment. He holds a PhD in social sciences and a master’s degree in visual arts, and has participated in many design research projects as a game designer and researcher. Bob is also the chairman of the Flemish chapter of DiGRA. Richard Van Eck is an Associate Professor of Instructional Design & Technology at the University of North Dakota (idt.und.edu). He has a BA in English and Psychology from the University of Wisconsin—Milwaukee, an MA in Creative Writing from the University of North Dakota, and a PhD in instructional design and development from the University of South Alabama, where he developed a game to promote transfer of mathematics in middle school for his dissertation in 1999. He was the Media Arts and Communication director at Cochise College from 1992 to 1995, where he developed a multimedia authoring lab and advised the literary arts magazine and newspaper. He was an assistant professor at the University of Memphis where he worked with the Institute for Intelligent Systems. He is a frequent keynote speaker on the educational potential of video games and has published extensively in the field of digital game-based learning, including two edited volumes on interdisciplinary approaches to serious games published in March, 2010. In addition to his work in serious games, he has also published and presented on intelligent tutoring systems, pedagogical agents, authoring tools, and gender and technology. Steven Malliet has a master's degree in communication science and in computer science, and a Ph.D. in the social sciences. Steven's research addresses the impact of videogames from a multidisciplinary perspective, using cultural theory, socio-psychology and communication theory. Steven has published several international papers on perceived game realism, and continues to investigate this topic. Other subjects on which he has published include game history, game analysis, gender and gaming, and game effects. He is a co-editor of the book 'Vice City Virtue', which tackles the questions of ethics and morality that surround videogames. Steven teaches to both game design students (University College of Limburg) and communication students (University of Antwerp). This refects his interest in bringing the academic and artistic traditions closer to one another, and in performing research that is relevant to theorists as well as practitioners.